For more than 60 years, the business aviation community has looked to NBAA as a leader in enhancing safety and security, shaping public policy, providing world-renowned industry events and advancing the business goals of 10,000 Member Companies worldwide. 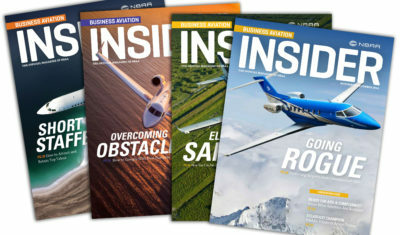 The official Member magazine of NBAA, Business Aviation Insider offers operational tips and tools, regulatory hot topics, profiles of NBAA's diverse membership and more. Learn more. Our Members-only email listserv gives Members immediate access to thousands of their peers. This unique networking forum, available around the clock, allows Members to tap into a shared wealth of knowledge where they can seek and offer solutions. Available only online, the NBAA Member Directory is an invaluable tool for business aviation professionals. Learn more. NBAA Members receive letters from the chairman of the Board of Directors and from NBAA President and CEO Ed Bolen. Learn more. NBAA offers a comprehensive suite of benefits, services and products that give Member Companies of all types and sizes the tools they need to make the best use of their business aircraft. Learn more. Many resources on the NBAA website are limited to Members. To apply for a website password, visit the online form. If you have a website password but can't remember it, use the online form to reset it. The information in your online profile is printed in NBAA’s Member Directory. Members can access My NBAA Profile 24/7 to make changes that will be reflected immediately in the Member Directory. 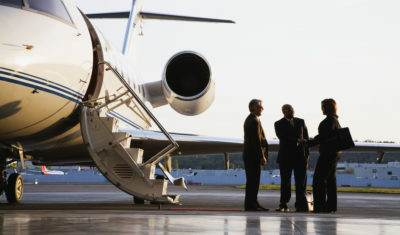 In addition to the NBAA Workers’ Compensation Insurance Program designed to provide a more cost-effective option to operating Members, NBAA also offers access to discounts on term life and loss-of-license insurance, as well as special rental car rates. Learn more. To help the Association to reach out to new Members, current Members are invited to share feedback and thoughts on how NBAA Membership has helped their businesses succeed. For more information or to submit a testimonial, contact NBAA’s Aimee Kaufman at akaufman@nbaa.org. Do you want to proudly share your membership status by displaying the NBAA logo on your company materials or website? Review guidelines and download the logo.